This session made its debut at the 2018 National APCO conference. With standing room only attendance it was labeled a hit. Dispatchers poured their hearts out, sharing calls they have taken. In the end, we healed...together. But let's start at the beginning. Imagine Listening is an extension of the Within the Trenches podcast and features the true stories from the 9-1-1 dispatchers who live them and make up the #IAM911 Movement. This extension started out as a way to gain more exposure by reading stories that had been submitted to the movement through email and social media. 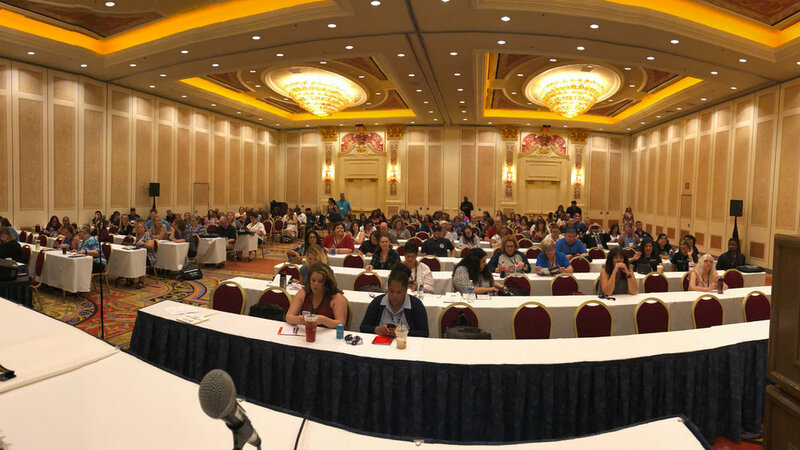 Last year, I had the idea to turn Imagine Listening into a session to be presented at state and national conferences where dispatchers would have the opportunity to share their own #IAM911 story. It started at the Indiana NENA/APCO conference and has gained popularity throughout the industry. Dispatchers have opened up and shared stories that they had buried for so long and finally, in a room of their peers, they feel comfortable enough to not only share with those in the room but with the world through the podcast. 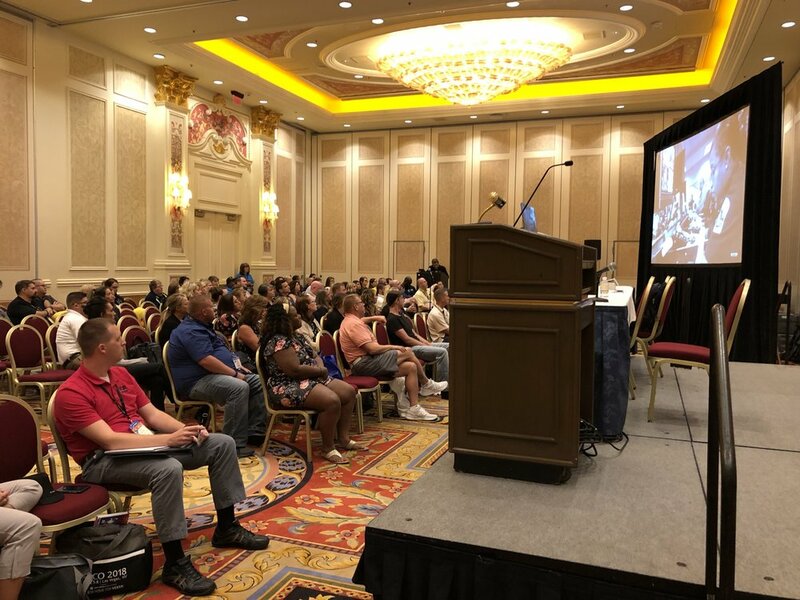 At the 2018 National APCO conference the session blew everyone away. 146 people attended the first session and 93 people packed the second session. The feeling in the room is hard to explain. Powerful is the best way to put it. Dispatchers shared, we cried and we healed together. The first session was recorded and will be available on the podcast, however, the second session was not. Although I am disappointed by this, I firmly believe that the second session was meant for just us, at that moment in time. It was special. I want to thank each and every one of you for attending my sessions and for sharing your stories. They mean so much, to so many people. You have no idea the impact they have on those in the industry as well as those in the public. This session is coming to a conference near you so be on the look out for it. Below you will find a clickable gallery of pictures taken during both sessions and a few testimonials from those who received an official #IAM911 challenge coin.